Do You Know A Business That’s Breaking The Law? Many companies break the law without realizing. They may make a miscalculation whilst bookkeeping or fail to add a health and safety feature to their workplace. These minor crimes are forgivable – business owners have a lot of laws to get their head around and these amateurish mistakes happen. That said, there are also a lot of shady companies out there that are breaking the law whilst fully aware of what they’re doing. Whilst these companies may be able to hide the truth from clients, they may rely on the willful ignorance of employees and suppliers to get away with it. ‘Every other company is doing it’ may be their excuse when confronted. They may even make threats to keep the secret from getting out (which could itself be a crime – blackmail). Knowing when a certain unethical behavior is a crime is important. 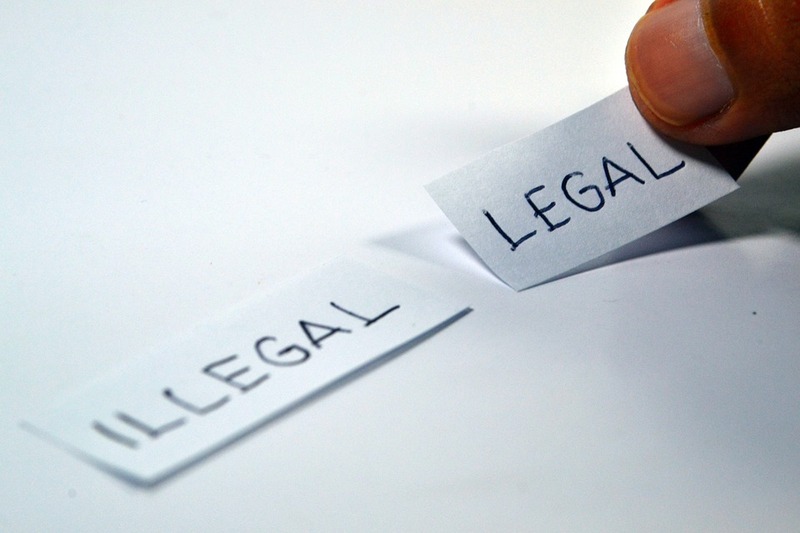 Here are some common examples in business in which something illegal may be going on that’s worth pursuing legal action over. There are a lot of businesses out there claiming false expenses and giving false tax records. It could be something as extreme as dealing wholly in cash and hiding this entire income from tax authorities. Alternatively, a company owner may be spending money on personal luxuries and claiming that they’re work expenses to reduce tax. Accountants can often find out about this behavior and be threatened not to tell authorities, however holding back such information could be making you liable for criminal behavior too. You should report such behavior to HMRC who can take further action to find evidence. There is a maze of employee rights that employers have to protect. Whilst some of these can be overlooked, others have no good reason to be ignored. Discrimination and holding employees against their will is a big crime to look out for. Some employers may even be paying employees unfairly, which could range from not paying overtime to refusing to pay wages at all due to their being no official contractor records of work in place. This may be classed as human trafficking in some cases, in which case you’re best off hiring a lawyer experienced with human trafficking to make a claim. You may even be a victim of mistreatment – even if you’re breaking laws yourself by being in the country illegally, you may still have more rights than the employer taking advantage of you. Giving clients false information is also a common crime. This is usually for financial advantage and could range from something petty to full-blown fraud. A familiar example could be a doctor pushing a certain treatment, not because it’s the most effective but because it’s the most expensive, or a tradesman claiming to have various experience or licensing despite not actually having any qualifications. It could even be something as elaborate as competitor price fixing, in which competitive companies make a pact to set a price high so that they each make more of a profit. You can similarly hire a lawyer to deal with these crimes – whilst finding evidence can be more difficult, you may be able to collect information from other clients and build a case. So what are your thoughts, have you ever known of any businesses doing these illegal activities? Share your thoughts below.